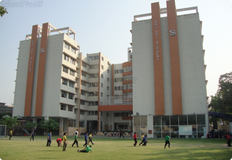 Find below the list of top schools in Satpukur - Kolkata with phone number, address, 360° School tours, 2018-19 Admission forms & Fees, photos, facilities & more. Auxilium Convent School is located in Dum Dum, Kolkata. It was established in 1960. This school follows the ICSE board. The school has English medium. In 1848, The Congregation of Christian Brothers (Missionaries of Ireland) founded the Calcutta Male Orphanage at Murgihatta, Calcutta. 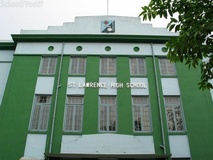 In 1947, it came to the present campus in Dum Dum in North Calcutta and was renamed St. Mary's Orphanage and Day School. 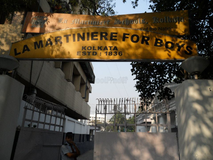 The school particularly serves the northern and eastern part of Calcutta and North 24 Parganas District. 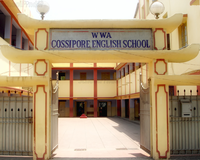 WWA Cossipore English School is located in Dum Dum, Kolkata. It was established in 1976. This school follows the ICSE board. The school has English medium. There are three schools under this organization: Kalyani Public School at Barasat. Central Model School, Barrackpore, Kalyani Central Model School at Kalyani. This Organization follows the rules and regulations of the Central Board of Secondary Education. (CBSE). The school started functioning from 1956-as a kindergarten school for underprivileged students. 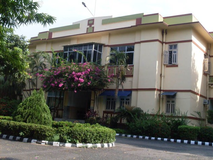 The humble beginning was made by Swami Shankar Kutty and then blessed by Mother Teresa in 1994 and for the improvement of the society and eradicating illiteracy from the society a formal school was formed known as North Point Day School run by the society The Educators Assisting Children's Hopes. It was acknowledged by the Ex-President of India, Shri K. R. Narayanan in 2000. We are proud to have many eminent personalities passing out from our school, of which Bhaichung Bhutia was one. 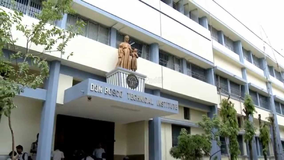 Don Bosco School is located in Singhi Bagan, Kolkata. It was established in 1937. This school follows the ICSE board. The school has English medium. "St. Mary’s & Jesus school has set its three-fold goal of imparting knowledge, character building and laying the foundations, for the all round development of its students. School is the place where the child can develop his/her personality both in curricular and extra curricular activities. All these activities are aimed at bringing to surface the latent qualities of the pupils and giving them opportunities for the development thereafter. The aim of our activities is individual attention to each student which is reinforced by regular meeting with parents to help their children develop their personalities According to this view education is the process of gradually filling up the empty mind of the child with grains of knowledge." You and your child deserve to be looking only at the top schools in Satpukur - Kolkata. We at Sqoolz, have created an all-encompassing list of best schools in Satpukur - Kolkata so that you can pick the one that is most suitable for your needs. Is the location viable? Is the school big enough? What additional facilities do they provide? Find answers to all the important questions with us. You can even take our virtual tour and see for yourself whether or not the school fits your child's needs.